I’ve always thought of Ada Lovelace as being a contemporary of Mary Shelley. Turns out Shelley was a friend of her father’s, Lord Byron, who Lovelace hardly knew. She is widely credited with being the first computer programmer, having written a description of how to setup Charles Babbage‘s Analytical Engine to produce Bernoulli Numbers. Of course, Babbage never actually built either of his engines (Difference or Analytical); so Lovelace was saved the heartache and tedium of debugging. Of course, she also never knew the elation of seeing your program running. Oh well, software giveth, and software taketh away. 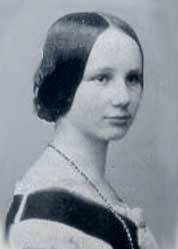 Ada Lovelace Day is a celebration of women in technology. Bloggers are asked to post about women they know and admire in technology. So here goes. Sue Nichols- Miss Nichols was my first Computer Science teacher in grade 9. She taught me BASIC on an HP 2000. She also arranged for me and two friends to get our first summer job programming at Cygnet Mini Computers. More recently I’m privileged to be working with extraordinary women at Tucows, such as Heather Leson, Joan Sumner and Jackie Fraser. Happy Ada Lovelace Day, all.